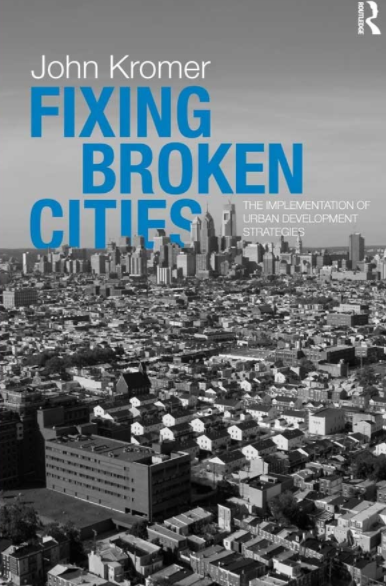 FIXING BROKEN CITIES is about the planning, execution, and impact of investment strategies designed to bring about transformative changes in urban downtowns and neighborhoods. Each chapter addresses a major concern, from enlivening the downtown area to eliminating industrial-age blight, repopulating high-vacancy zones, and providing quality public education options. How can we help distressed urban communities recovery from a generation of economic loss and reposition themselves for success in today’s economy? Although many have proposed solutions to the problems of neighborhoods suffering from economic disinvestment, John Kromer, in his role as Philadelphia’s housing director, has actually put solutions to work. Part war story, part how-to manual, and part advocacy for more effective public policy, Neighborhood Recovery describes how a blending of public-sector leadership and community initiative can produce successful and lasting results. This eBook provides unique insight into the campaign experiences of Philadelphia’s reform-minded candidates. The candidates reflect on the high-stakes strategic decisions that determined their success or the miscalculations that meant failure on Election Day. The book also shows how new low cost, high-tech innovations let any candidate “micro-target” like-minded voters throughout the city and produce an Election Day upset. The authors expose the dynamics of reform candidates’ campaigns through revealing in-depth interviews, a robust array of digital map illustrations and precise analysis of newly available voter data. Money, Mojo, and Votes is a must-read for current and future political candidates, for members of civic, business, and community groups interested in reform candidacies, and for anyone interested in influencing constructive change in municipal government via the ballot box. It is available on amazon.com. Neighborhood Stabilization and Safety in Eastern North Philadelphia, 1998-2010 (2010) http://www.fels.upenn.edu/apm_stabilization. Beyond the Foreclosure Crisis: Reconstituting the Rental Housing Market in Pennsylvania (2009) http://www.fels.upenn.edu/news/making-case-healthy-and-affordable-rental-market. Allentown Progress Report: Housing Asset Management Strategy in Allentown, PA (2009) http://www.fels.upenn.edu/news/new-report-urban-revitalization-getting-better-results-allentown-pa. Vacant Property Reclamation and Neighborhood Change in Southwest Center City Philadelphia (2008) http://www.fels.upenn.edu/news/new-report-urban-revitalization. A Housing Strategy for Allentown’s Central City Neighborhoods (2007) http://www.fels.upenn.edu/news/new-report-urban-revitalization-housing-strategy-allentown’s-downtown-neighborhoods. Philadelphia’s Residential Tax Abatement: Accomplishments and Impacts (2005) http://www.fels.upenn.edu/news/new-report-urban-revitalization-2. West Philadelphia Initiatives: A Case Study in Urban Revitalization (2005) http://www.fels.upenn.edu/news/new-report-urban-revitalization-1. Vacant Property Reclamation and Development in York, PA (2004) http://www.fels.upenn.edu/news/new-report-urban-revitalization-4. Vacancy Inventory and Reinvestment Strategies for Reading, PA (2004) http://www.fels.upenn.edu/news/new-report-urban-revitalization-0. Vacant Property Policy and Practice: Baltimore and Philadelphia, (The Brookings Institution Center on Urban and Metropolitan Policy, 2002) http://www.fels.upenn.edu/news/new-report-urban-revitalization-3.